I usually do my Tales Classical music weekend posts on Saturday and Sunday, but I am doing it early this week as Friday night and Saturday is the solemn Jewish holiday, Yom Kippur. As the holiday and fast ends at sundown, I, along with the fetching Mrs. B, will be able to make at 8 pm on Saturday night, the Houston Symphony Orchestra concert that once again will be held at Rice University's Stude Concert Hall [instead of Jones Hall] due to work still being done to fix Jones Hall, damaged by flooding from Hurricane Harvey. 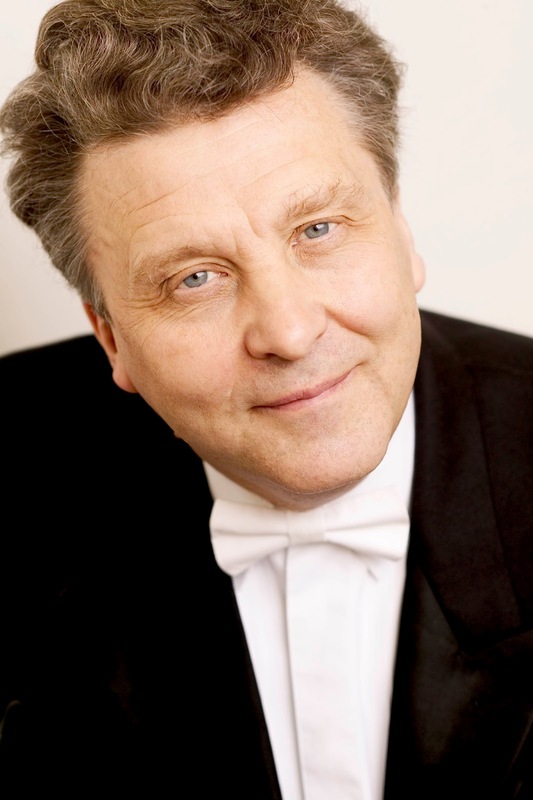 This will be a great concert program featuring Russian Romantic composers, Alexander Borodin, Pyotr Ilyich Tchaikovsky, and the Russian 20th century composer Dmitri Shostakovich; it will be led by guest Russian conductor and pianist, Maestro Vassily Sinaisky. The 3 pieces are: 1. Borodin's "Overture to Prince Igor"; 2. Shostakovich's, "Symphony #1; 3. Tchaikovsky's "Symphony #1",'Winter Daydreams'. This about the program from the Houston Symphony Orchestra website: "Representing the great Russian conducting tradition, Vassily Sinaisky makes his Houston Symphony debut with a thrilling, all-Russian program. Two astonishing first symphonies provide a study in contrasts: Shostakovich’s irreverent wit is the perfect foil for Tchaikovsky’s dreamy melodies. In the hands of Sinaisky, listeners will be “able not only to hear but almost to touch the music” (Cleveland Plain Dealer)." The concert program begins with Borodin's overture to his melodic opera, Prince Igor. The witty, satirical symphony in F-minor by Shostakovich was amazingly composed at age 19. Tchaikovsky's beautiful first Symphony, also in F-minor, was called Winter Daydreams and contained some melodic Russian folk tunes. It was scored in the usual 4 movements: 1. Allegro, 2.Adagio Cantabile, 3. Scherzo, and 4. Andante-Allegro Maestoso. One great note for Houston fans of the HSO, is that Frank Huang, now the concertmaster for the New York Philharmonic, who for years was concertmaster of our great HSO, is back as guest concertmaster this weekend. As usual, when the fetching Mrs. B and I attend a concert in Houston, I like to give you just a sample of the music we will be hearing on Saturday night. So, please turn up your volume and enjoy some great music from some great Russian composers that Sheralyn and I will be hearing from our great Houston Symphony Orchestra. Pyotr Ilyich Tchaikovsky: Symphony #1 in F-minor, "Winter Daydreams"